Zzen Flash contains high levels of pure Tryptophan & Magnesium, which are known for their effectiveness as calmers. However, it also benefits from containing Angelica archangelica root, which has been shown in studies to significantly reduce anxiety. 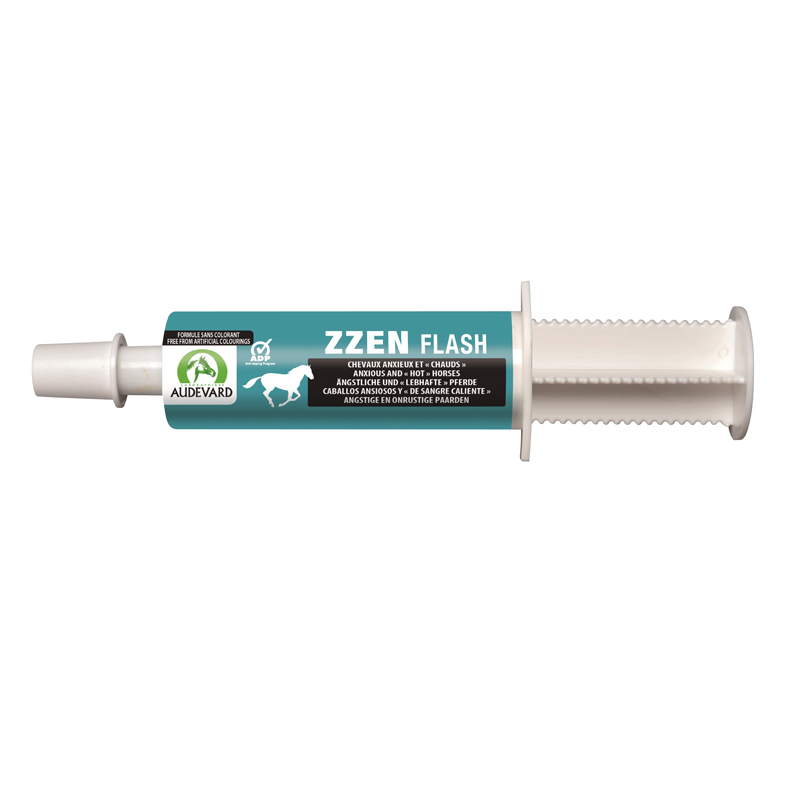 In fact some customers who were having to use prescription sedation pastes to sedate their horses for stressful occasions such as clipping, have been able to switch to using Zzen Flash instead. It is suitable for use in stressful situations, such as travelling, clipping, shoeing, weaning, introduction to a new environment or any situation likely to cause anxiety, e.g. fireworks night. It is apricot/peach flavoured to make it more appetising. Feeding Instructions: Give the whole syringe directly into the horse's mouth, 1 hour before the target time. If needed, give another syringe the night before.